Regardless of what application you need office space for, you can hit the ground running with the Versatile Office Trailers. Our mobile offices meet the unique space needs for any site while keeping a professional appearance in any environment. 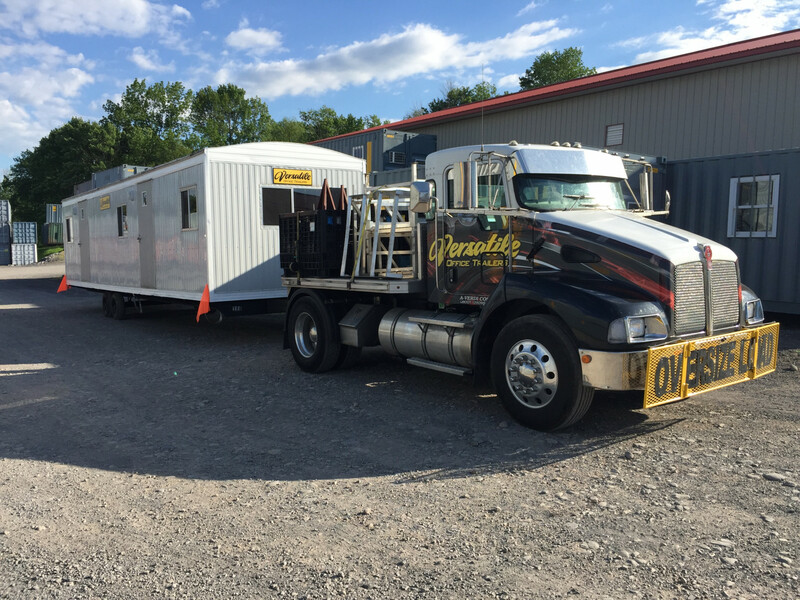 Versatile Office Trailers a local family owned business can provide you with temporary office space that will feel like your work station away from home. We provide an array of field offices that come equipped with amenities that will guarantee an easy, stress-free project. Whether you are looking for a short term temporary sales office or an on-site construction office for a long term project, we will make sure you have the right layout to get the job done. All of our team members work extremely hard to ensure your office trailer rental will be an extraordinary experience from beginning to end. Our diverse clientele has come to count on us for mobile offices for various special events and we have been known to provide everything from ticket booths to medical trailers. The uses for a Versatile Office Trailer are as boundless as your creativity. Our full service leasing options will include installation & removal from your site while giving you a professional office trailer fit for any environment.